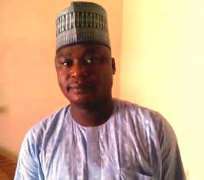 Member Representing Hawul Local Government Area at the Borno State House of Assembly, Hon. Ayuba Stephen Wakawa accepted the Clarion Call of his people to recontest and retain his seat come 2019 general elections in order to consolidate on the gains and achievements initiated by the State Government to better the lives of his electorates. The Lawmaker who is in the last year of his second tenure and one of the closest legislators to Governor Kashim Shettima and his Deputy, Usman Mamman Dukwa said, he is the only aspirant/candidate to beat having pressurized government which has brought people oriented projects to his constituency, adding that, his achievements always speak for him. Wakawa stated this in an interview in his office on Thursday, after he declared his ambition to Newsmen. He said, under his purposeful representation and the cordial relationship that exists between him and the Governor, he was able to convince the government of the day to embark on the reconstruction and rehabilitation of the Biu- Yimirshika- Shaffa- Garkida federal road, which has been in deplorable condition but neglected since 1979. The Lawmaker also boasted that, he was instrumental to the complete overhaul of the Azare General Hospital, situated in the headquarters of Hawul Council Area. The project he said was being handled by the state government and the work have now reached 97% completion. He further said, the Complete Construction of Mega Boarding Secondary and Primary School, Azare, in addition to complete renovation and reconstruction of classroom blocks at Government Secondary Schools in Shaffa, Marama, Kwajjafa and General Hospital Marama were all executed by his pressure on government. Another achievement he noted, is the recent drilling of boreholes across wards and communities in Hawul, and many other dividends of democracy to mention but few. He however dismissed allegations trending in some social media platform that Governor Shettima have perfected plans to give automatic ticket to each serving legislators in the 28 State Constituencies, having received their full support in the legislative process during the last seven years. Recall that critical stakeholders in the ruling APC converged last Tuesday and unanimously endorsed the much talked about 'Indirect Primaries' for all aspirants seeking for elective positions on the party's platform, a development that some political pundits take such endorsement as being favourable to Governor Shettima against his rival boss, former Governor Ali Modu Sheriff's led APC faction, who prefer Direct Primaries in the state. "At the National Executive Council (NEC) meeting of our Party in Abuja, it was adopted that there is going to be three methods of primaries to be conducted in choosing any candidate. "One of the method adopted is Direct primaries, the second method is Indirect Primaries, while the third method is by Consensus. "So it is left for each state based on its peculiarities to choose any of the three options. In Borno state where we have our own peculiarities, the critical Stakeholders which am also part and parcel of have deemed fit that Indirect Primaries is the best option and suitable for all of us the aspirants to choose who would fly the flag our party come 2019 general elections at all levels.
" And to be fair to Governor Shettima, he is not instrumental to the decision we took at the last Tuesday Critical Stakeholders meeting where we unanimously opted for indirect primaries." Wakawa stated.